Latest News and Hints and Tips from TimWiseVA. Time Wise VA / Blog / Proofreading – have you checked your copy? Proofreading – have you checked your copy? 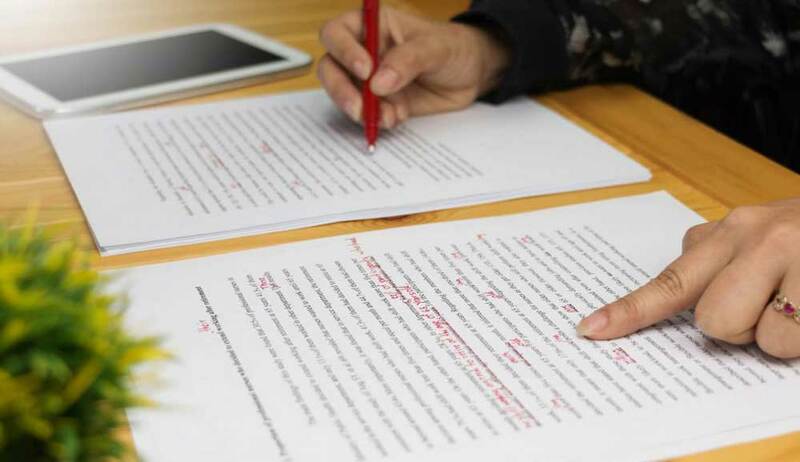 Today, any business that is serious about how it looks and sounds, will do well to ensure that its significant documents are checked over by a qualified, and experienced, proofreader. While your computer’s spell checker may be of assistance, particularly if you struggle with spelling and grammar, it does have its limits. Sometimes it can completely miss a wrongly chosen word – for example, now in place of not – while at other times it may struggle to choose between the many ways that some words in the English language can be spelled – er, or is that spelt? Getting it right is vitally important, whether you are putting together a presentation, proposal, or a contractual document. While some may not notice minor errors, others will form a negative impression of your organisation. Many of us have experienced the grating feeling, when reading a paperback book, of coming across a spelling error when reading – something that can easily disrupt the reader. Poorly written prose, even badly thought through punctuation can, in some cases, deliver completely the wrong message. Both graphical and grammatical inconsistencies through a document can also make it harder for a reader to take in and understand. Imagine the example above, where now is accidentally put in place of not, and you can see a sentence would mean the absolute opposite of what was intended. It can be a mistake to ask someone involved with producing a major document, to check it through. Often they can be blind to the details, and will unconsciously miss key errors. The ideal thing to do, is to pass the draft in front of a fresh pair of eyes. They will be far more likely to pick up mistakes, small or large, and ensure the document presents its information clearly, shining a positive light on the organisation that wrote it. If you don’t have a suitable person within your organisation, then one great way to ensure proofreading is carried out, is to make contact with a virtual assistant. The VA network within the UK has many talented individuals, and it will be easy to find a VA who can check your documents, providing feedback and advice on design and layout, while also making corrections to spelling, formatting, punctuation and grammar. So, before you send out that next major proposal to a client, be sure that it makes absolutely the best impression, and have your VA carry out the proofreading first. It should be the vital last step in preparing any major document; and it could avoid you making a costly mistake. For more information on proofreading and how the Virtual Assistant services from Time Wise VA can have a positive impact on your business, call us today on 0161 211 9837 to discuss growing your business or contact us here. Time wise VA is an independent company providing a wide range of value for money flexible virtual services to businesses in the Greater Manchester area.